Alfred Percy Freeman (17 May 1888 – 28 January 1965), known as Tich Freeman, was an English cricketer . A leg spin bowler for Kent County Cricket Club and England, he is the only man to take 300 wickets in an English season, and is the second most prolific wicket taker in first class cricket history. Freeman’s common name comes from his extremely short stature – he was only 5 ft 2 in (1.57 m) tall. However, his stocky build and strong fingers gave him great bowling stamina, and he hated being taken off. His height gave his deliveries a low trajectory that was difficult for batsmen to reach on the full toss. This meant batsmen who did not play with a straight bat, or who lacked good footwork, rarely lasted long against him. Freeman relied chiefly on a leg-break that pitched on middle-and-leg, so that batsmen had to play at it, and a top-spinner that was notoriously difficult to detect and brought him hundreds of wickets; the googly he used sparingly. His bowling grip was somewhat unorthodox for a leg spinner: being such a small man with small hands, he gripped the ball between thumb, middle and index fingers rather than the orthodox leg break grip between the palm, index finger and ring finger. Freeman, two of whose brothers played for Essex, played club cricket during the early 1910s and was engaged by Kent in 1914. After success with the Second Eleven, he was picked for the county side regularly late in the season, but World War I then halted county cricket for several years. Figures of 7 for 25 against Warwickshire showed Freeman’s promise, and when cricket resumed in 1919 he developed rapidly. He took 60 wickets in a short season in 1919, 102 in 1920, 166 in 1921 and 194 in 1922. He was named a Wisden Cricketer of the Year in 1923 and took 17 for 67 on a rain-affected pitch against Sussex in 1922. 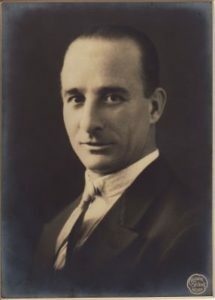 In 1924, Freeman’s bowling for the Players (6 for 52 in the first innings) against the Gentlemen earned him a place in the MCC tour to Australia. However, owing to the rock-hard pitches and the superb footwork of Australia’s batsmen, Freeman proved expensive in the two Tests in which he was selected. Freeman continued to dominate Kent’s bowling in the following three years, but was only modestly successful against South Africa in 1927-1928. Freeman even did well against the 1930 Australians, taking 5 for 78, but he was never selected for a home Ashes Test. He averaged as little as 11 runs per wicket against Leicestershire, but more than 26 against the strong Surrey batting lineups. In 1934 and 1935, although he was still the leading wicket-taker in England, Freeman fell away gradually. His average rose from around 15 to over 21 runs per wicket, and he was rarely as successful as before when the ground helped him or against weak batting – though his work rate still earned him many wickets. In early 1936, Freeman was again strong, and he took 70 wickets in the first fourteen matches. But his performance deteriorated thereafter, with only 33 wickets in the next fourteen games, so that Kent did not engage him for 1937. Freeman played for Walsall in the Birmingham And District League for a few years after that. He was granted life membership of MCC in 1949. After retirement Freeman opened a chain of sports retail shops in partnership with his old Kent team mate Jack Hubble. He christened his retirement cottage “Dunbowlin'”. 48.6% of his 3776 first-class wickets were taken without assistance (either bowled, caught and bowled, leg before wicket, or hit wicket). Second only to Wilfred Rhodes in his aggregate of first-class wickets, Freeman accumulated his in little more than half as many matches (Freeman took 3,776 wickets in 592 matches, Rhodes 4,204 in 1,110). He is just second to Wilfred Rhodes for taking the most number of wickets in all forms of cricket (List A, First Class, T20). He holds the record for taking the most number of five wicket hauls in all First Class matches (across all formats he is leading the top position even though he has gone on to play only first class matches) (386 fifers).